Successfully Added RF Transmitter MP3 Player Watch - 2GB Flash to your Shopping Cart. 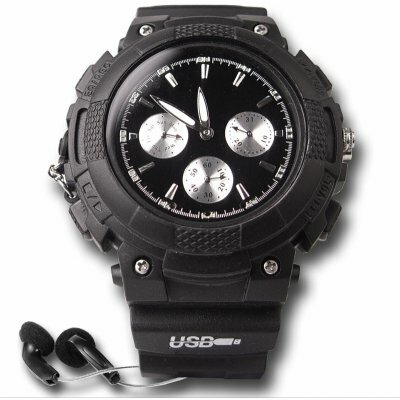 A cool RF (Radio Frequency) 2GB MP3 Player Watch gadget. Has a useful time function with the date and day of the week, is water resistant, has a high quality voice recording and playback function, support MP3 and WMA formats. A great Wholesale Made in China Product. Note: How to use the RF function on this watch. While you are playing MP3 music on the watch, press the RF Transmit button. It is marked as LED light in the Manual and is under the Time Adjust. Press it several times until you see a flashing red light. It is now transmitting the song on FM. Turn a FM tuner (i.e. a radio) to 88.9MHz and it will recieve the song from the RF watch.